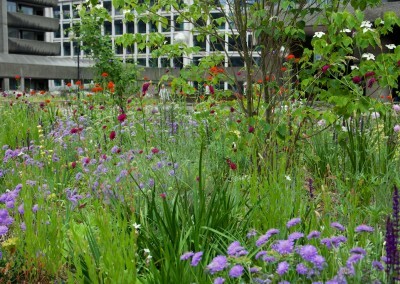 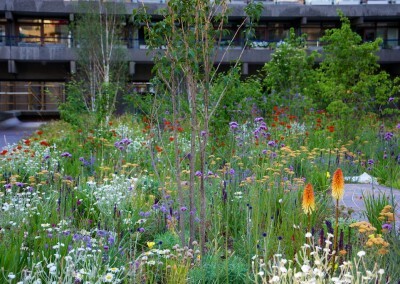 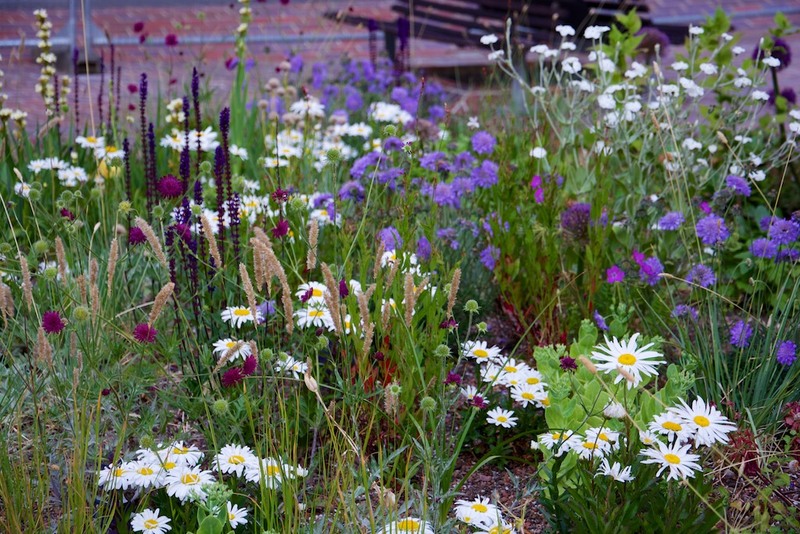 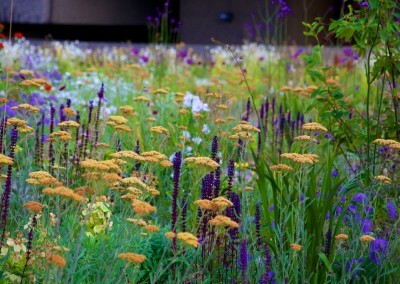 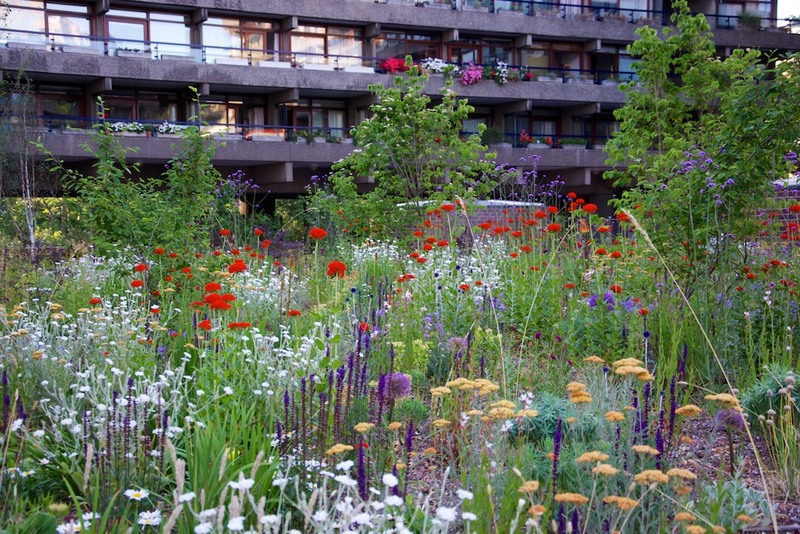 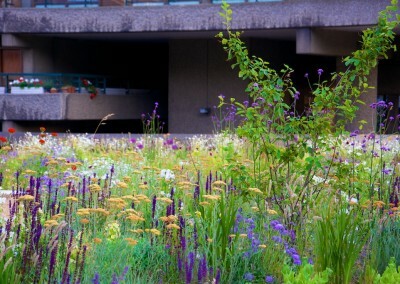 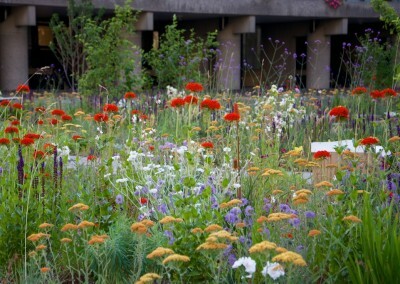 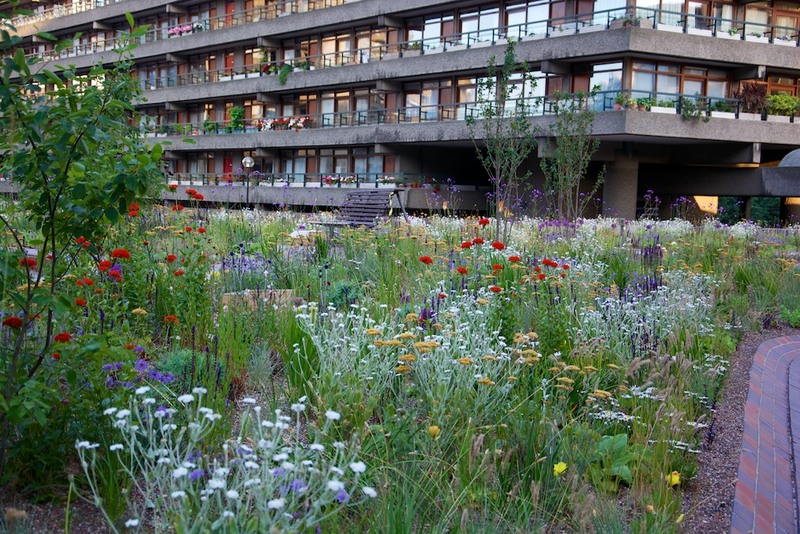 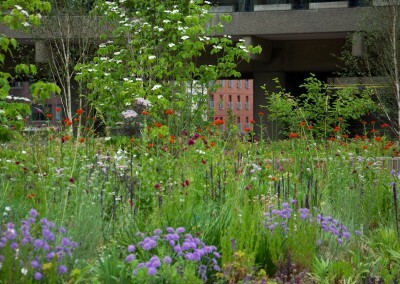 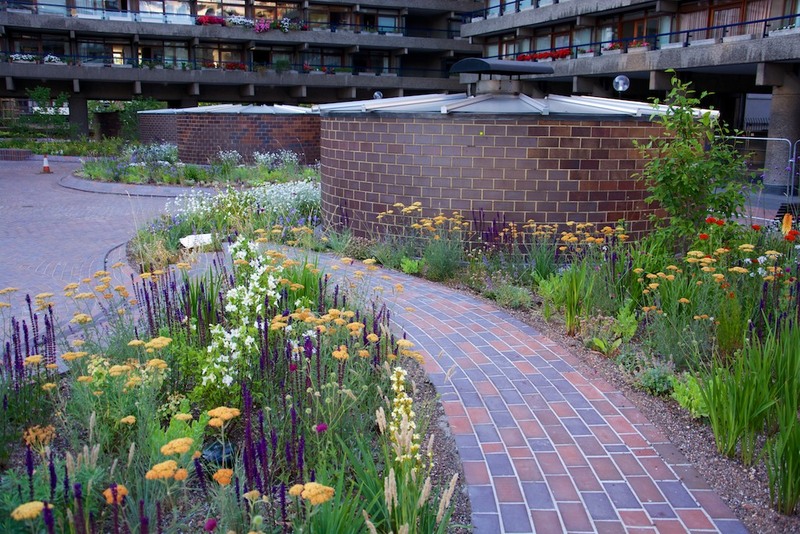 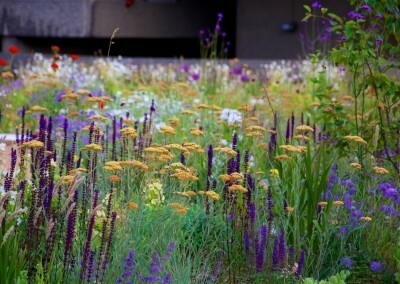 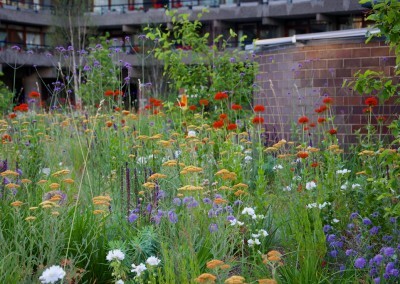 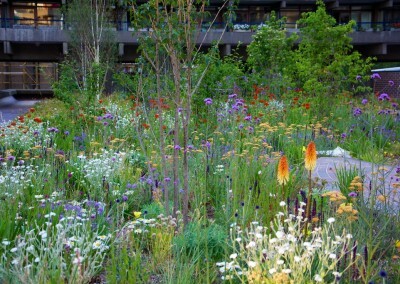 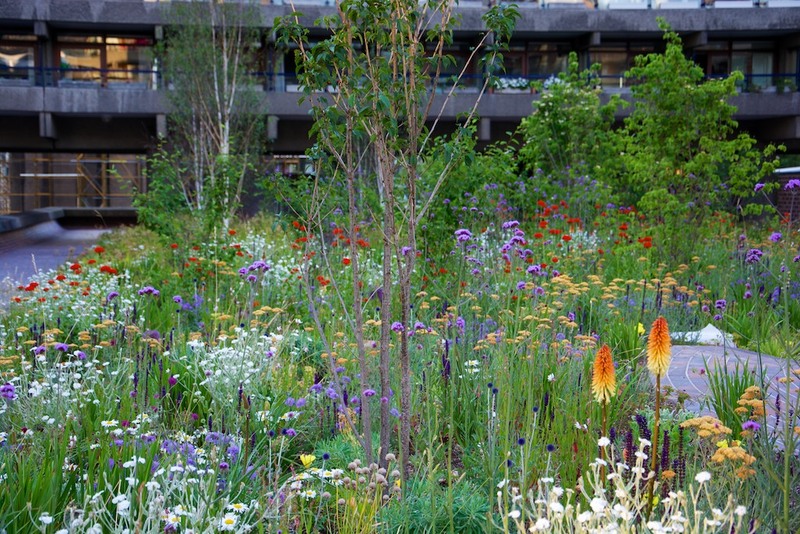 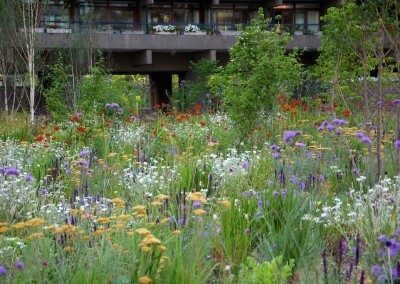 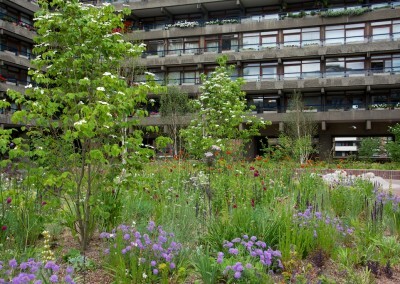 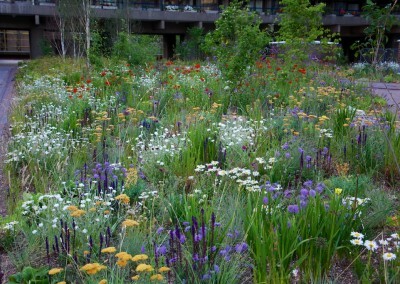 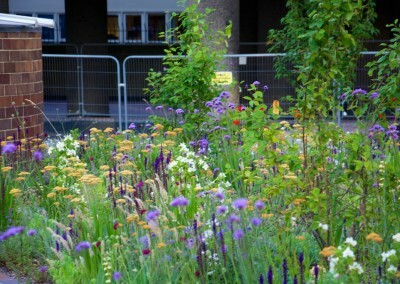 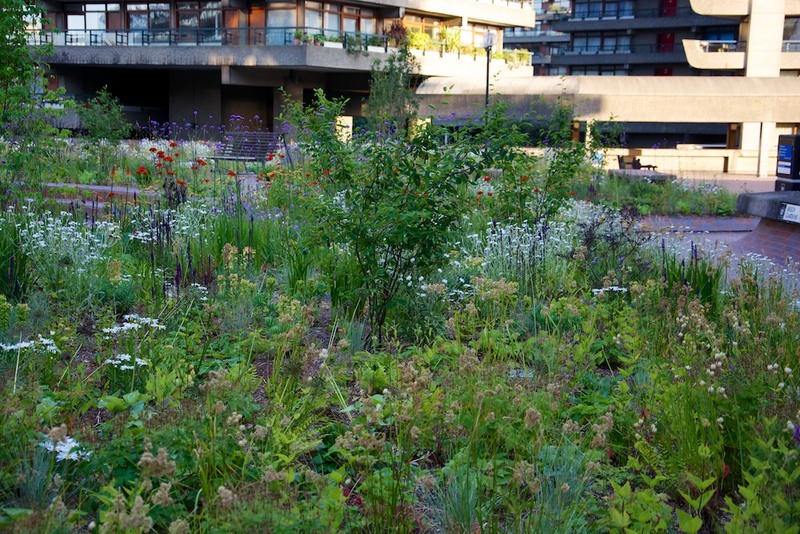 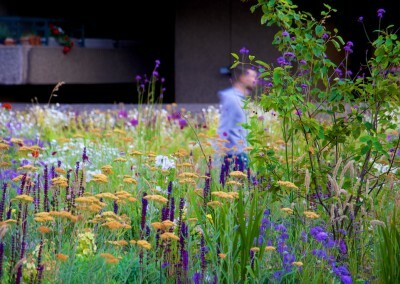 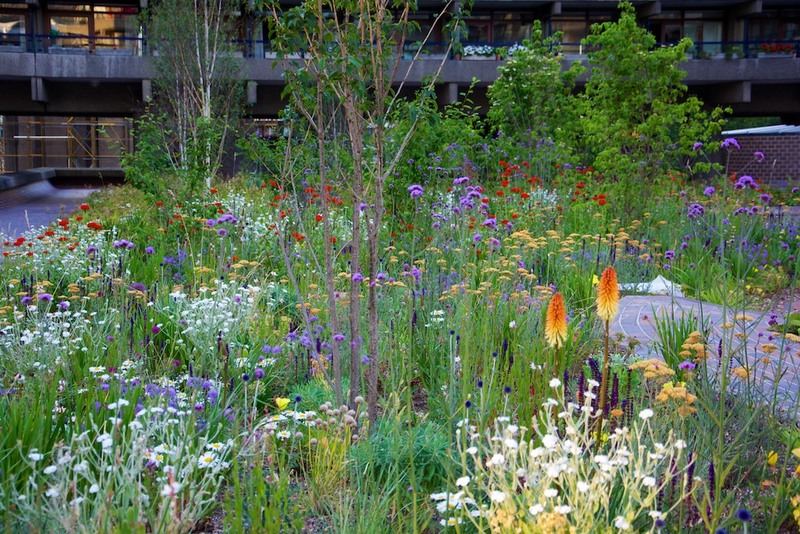 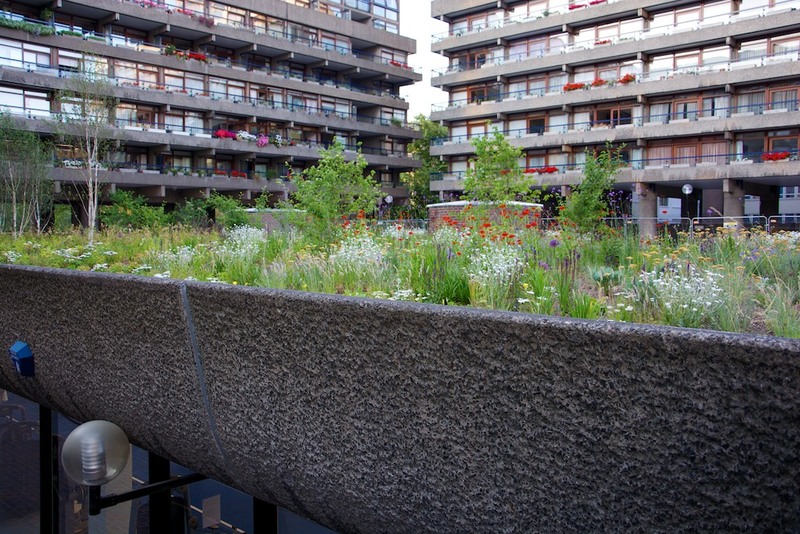 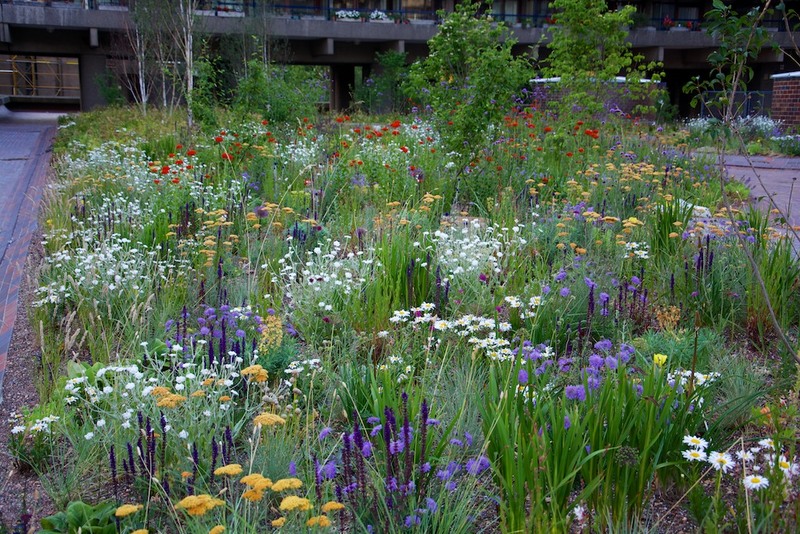 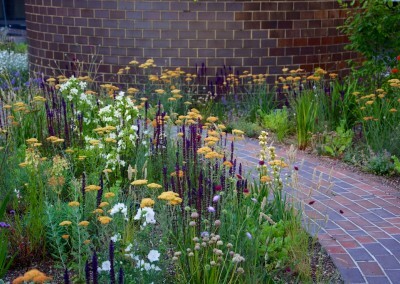 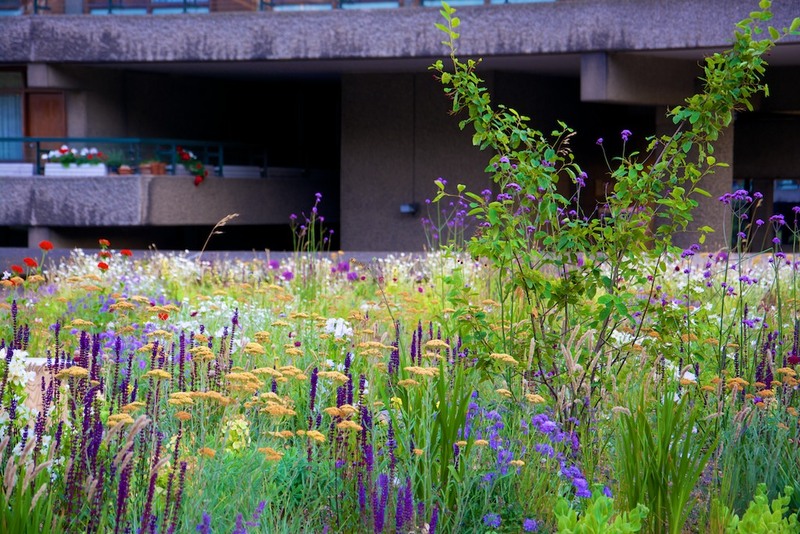 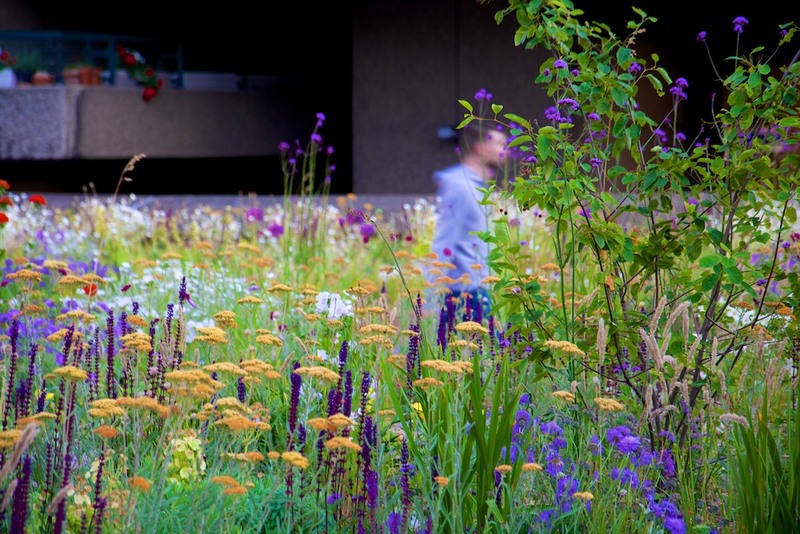 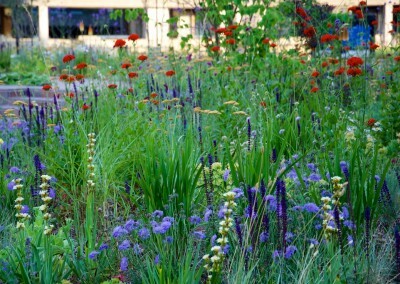 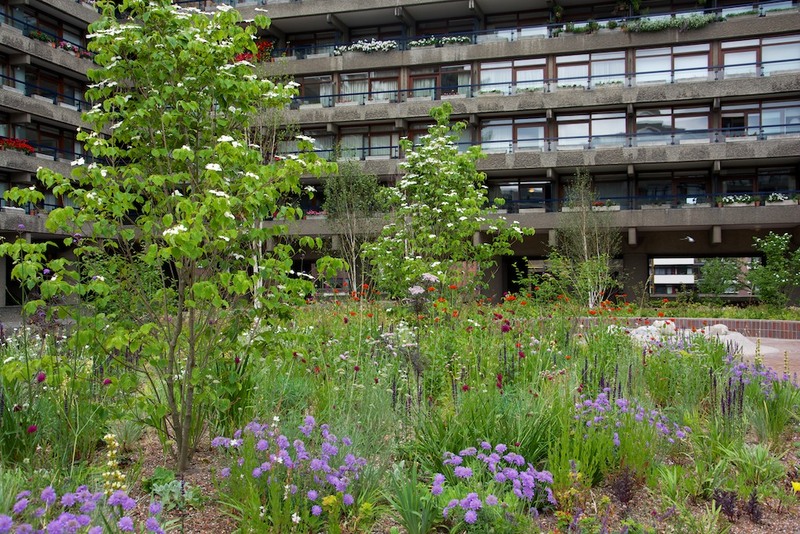 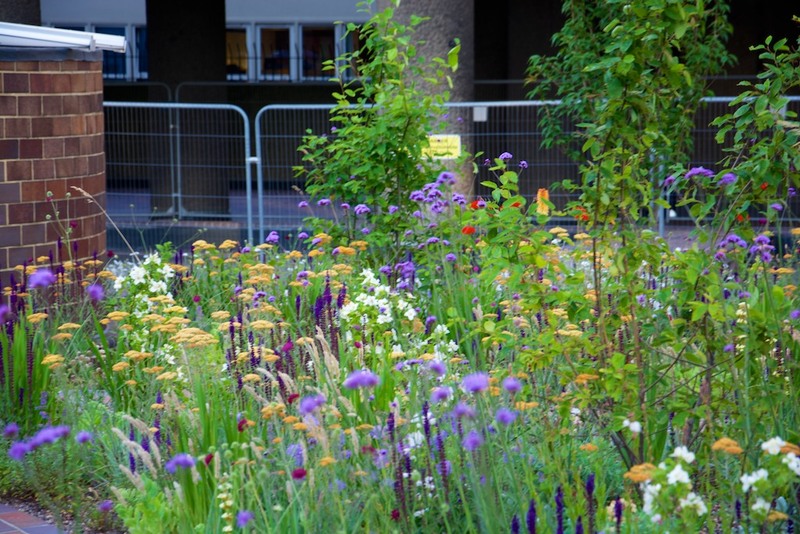 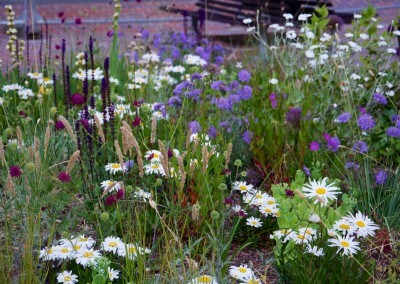 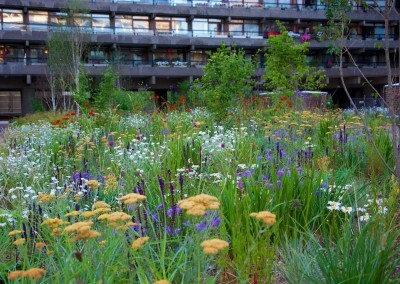 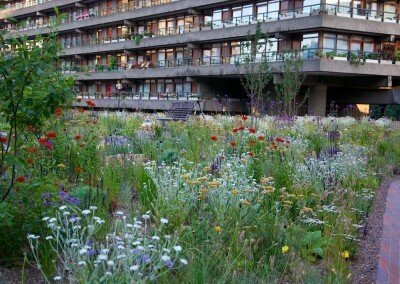 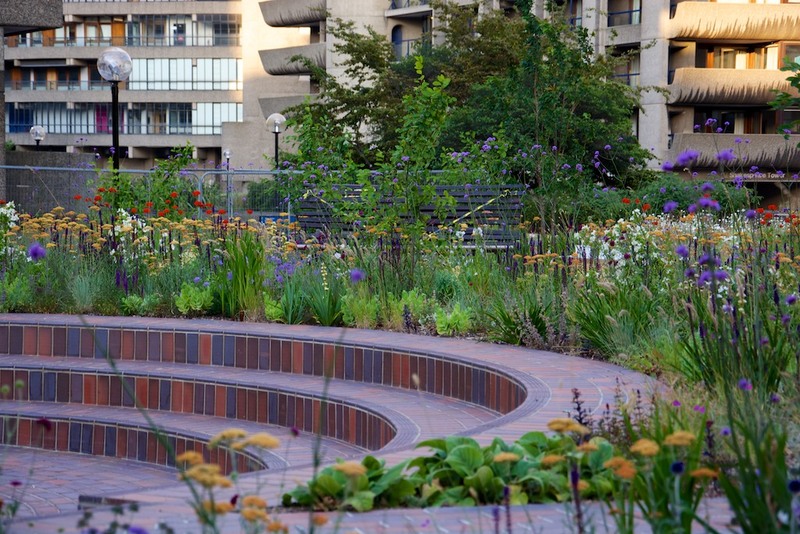 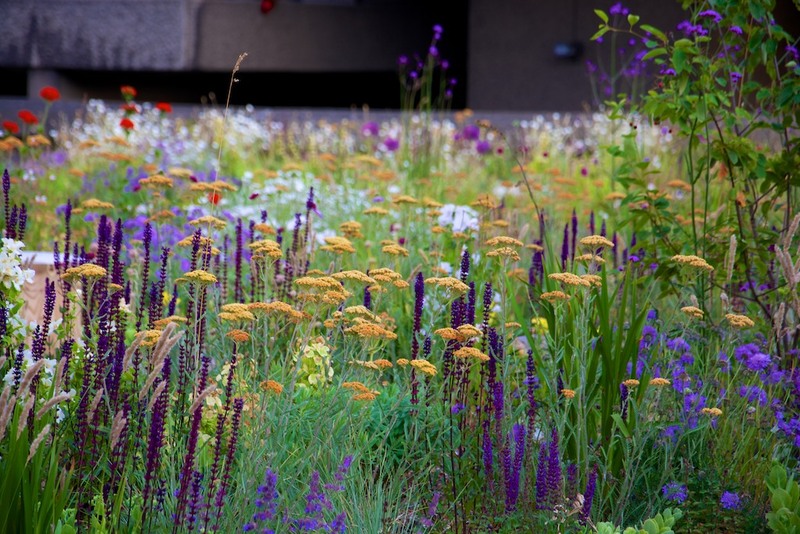 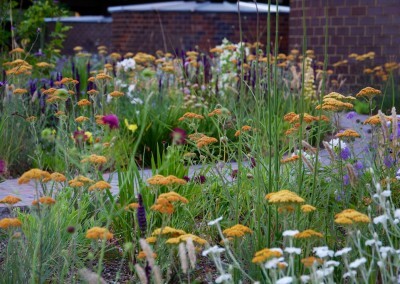 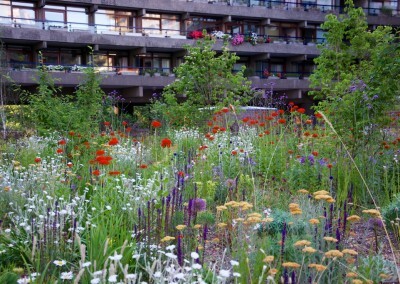 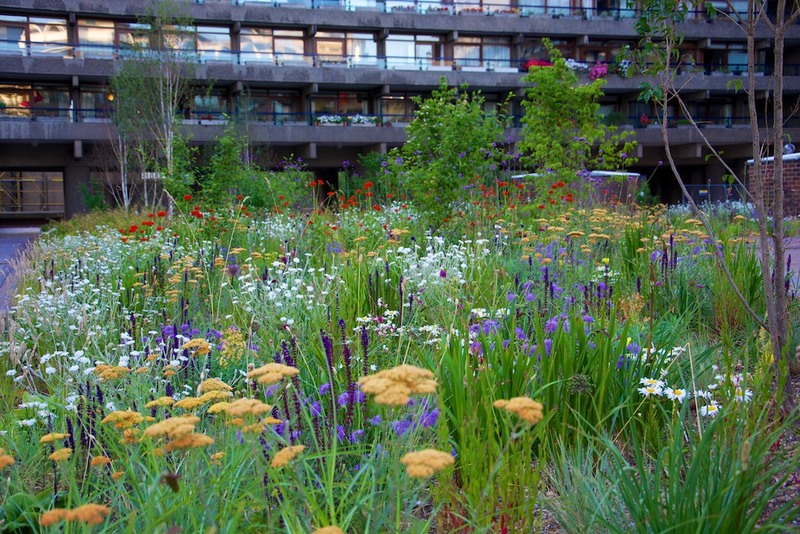 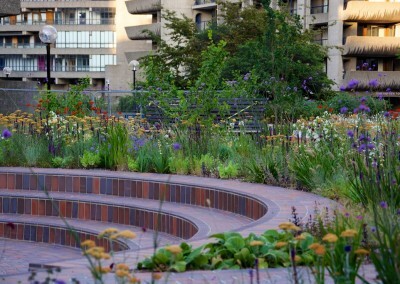 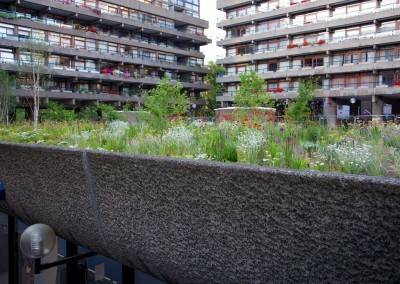 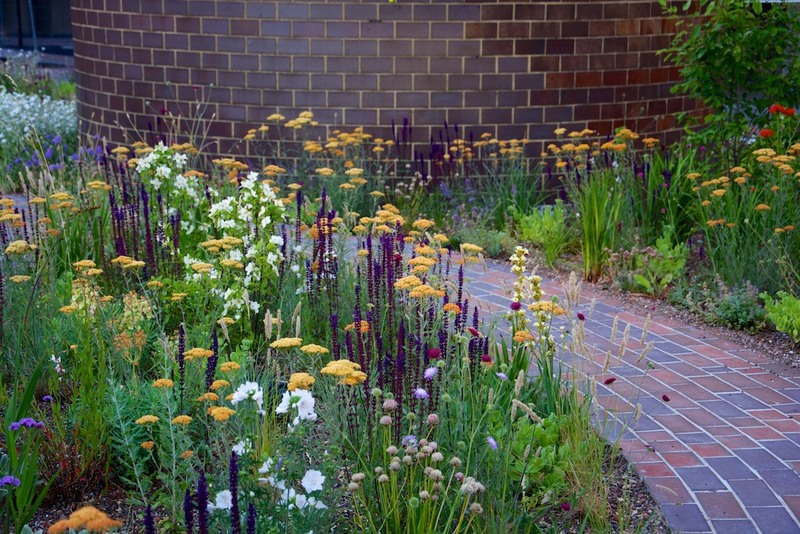 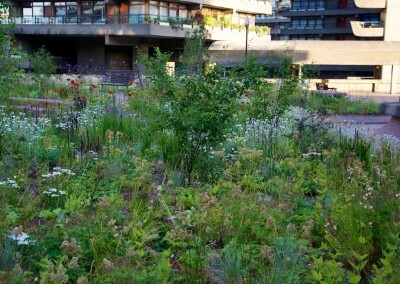 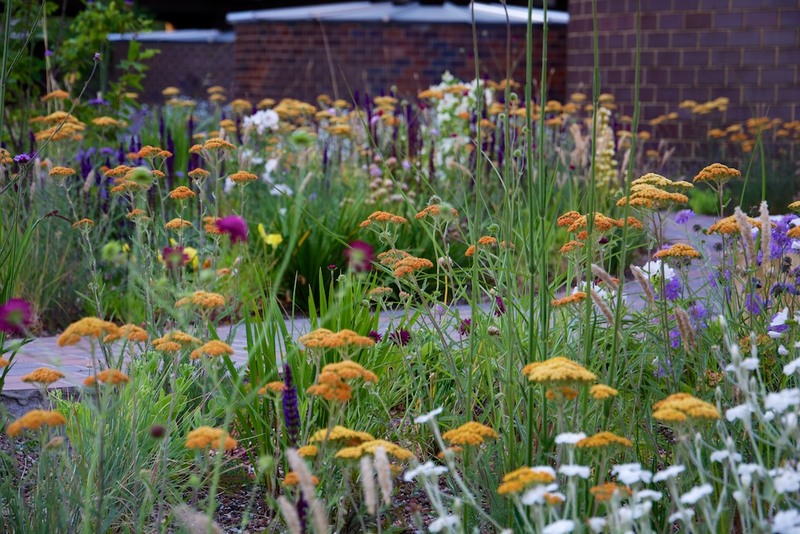 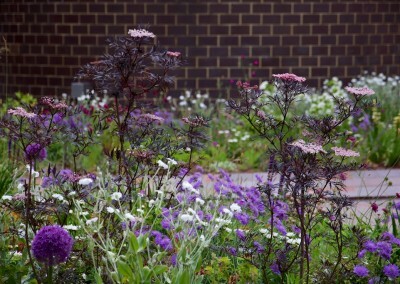 In mid-summer – late June to mid-July the shrubs steppe plantings reach a colour peak as the spring elements fade into the background, and the main flowering combinations of high summer materialise. 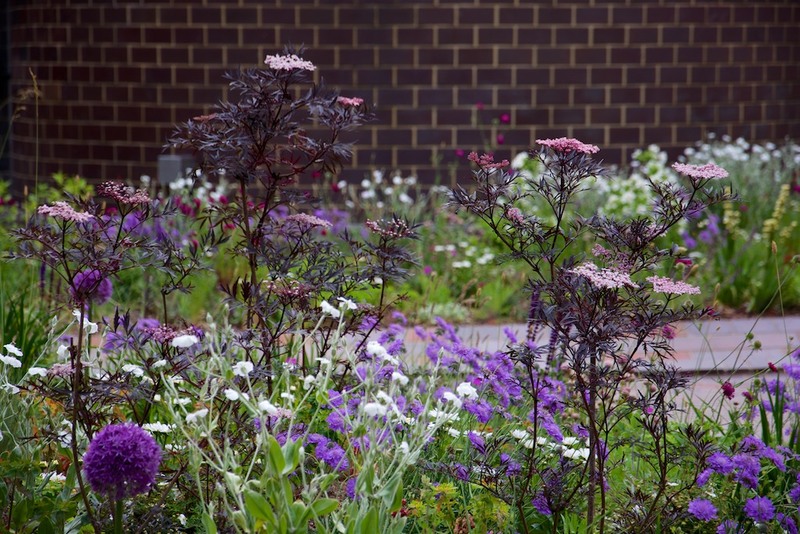 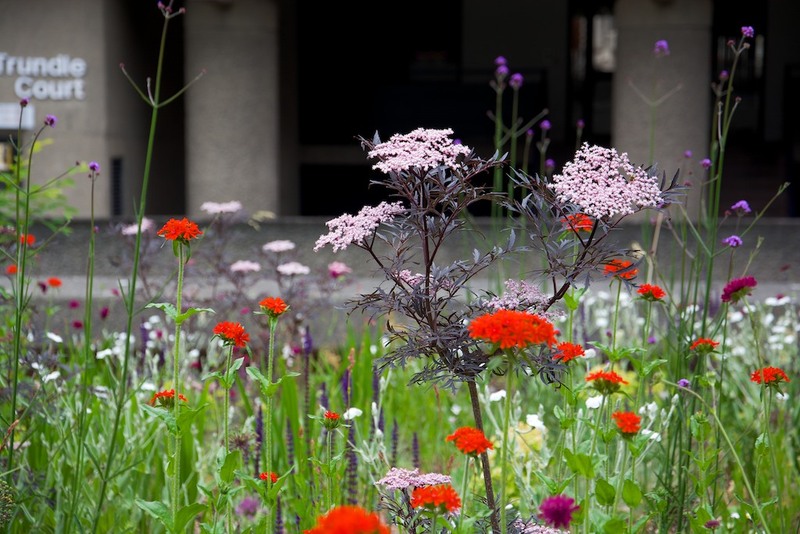 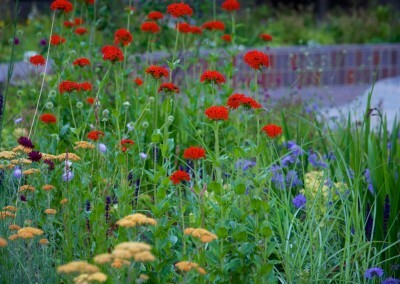 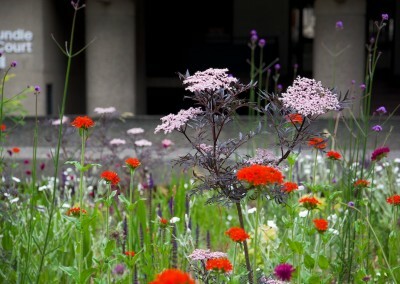 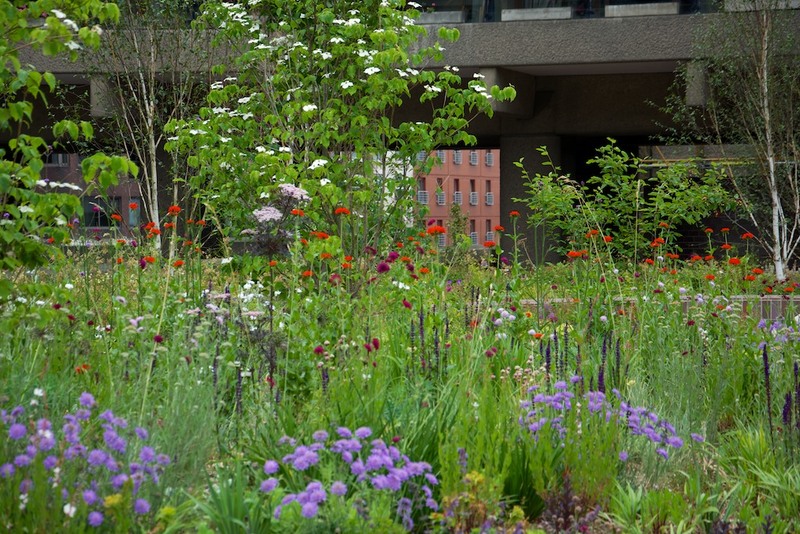 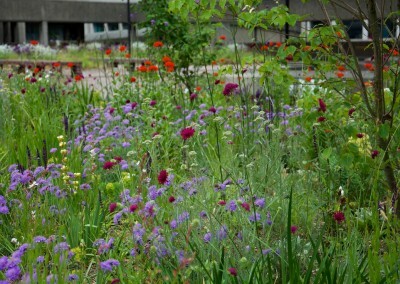 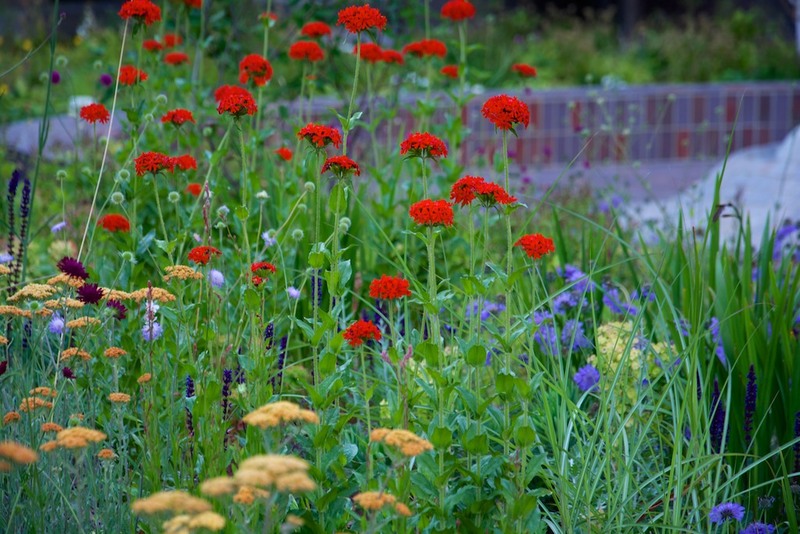 The pink flowers of the dark-leaved Elder, Sambucus nigra ‘Gerda’ make a striking combination with the scarlet of Lychnis chalcedonica, the crimson of Knautia macedonica and the blue of Scabiosa columbaria. 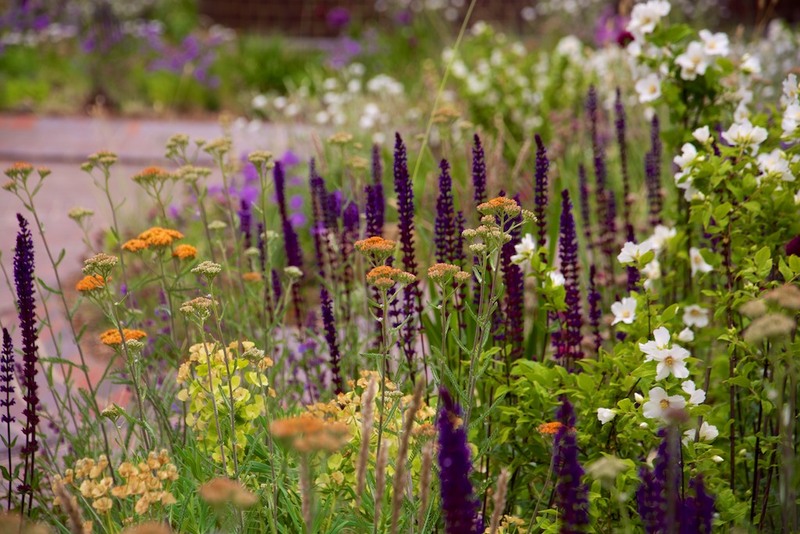 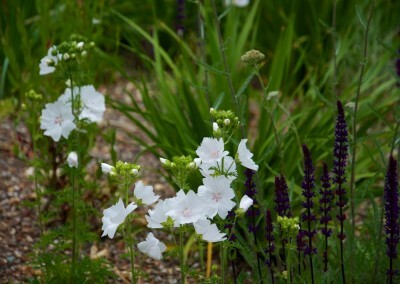 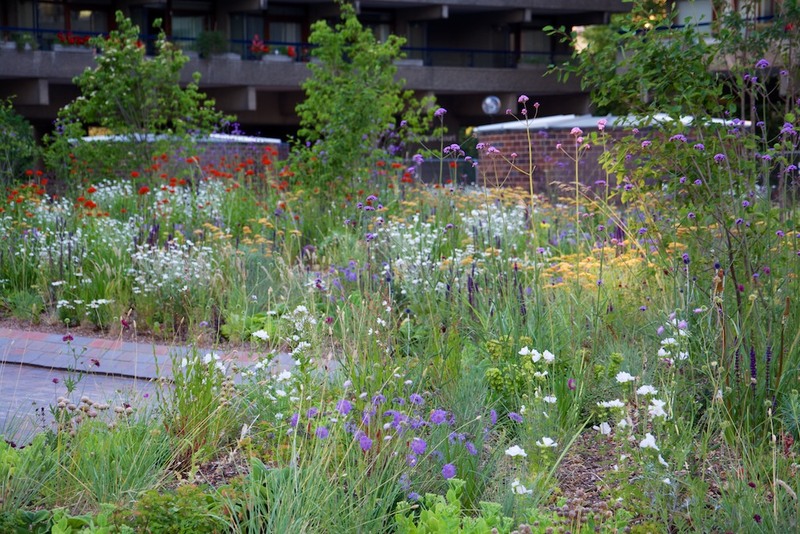 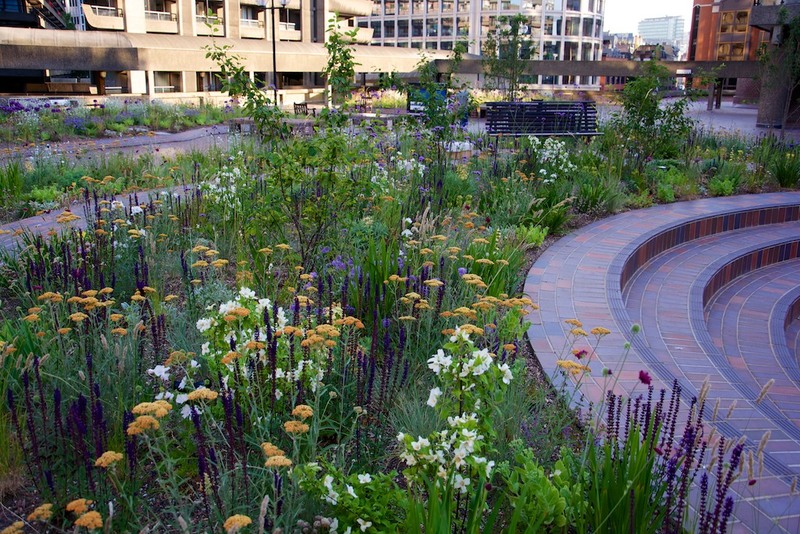 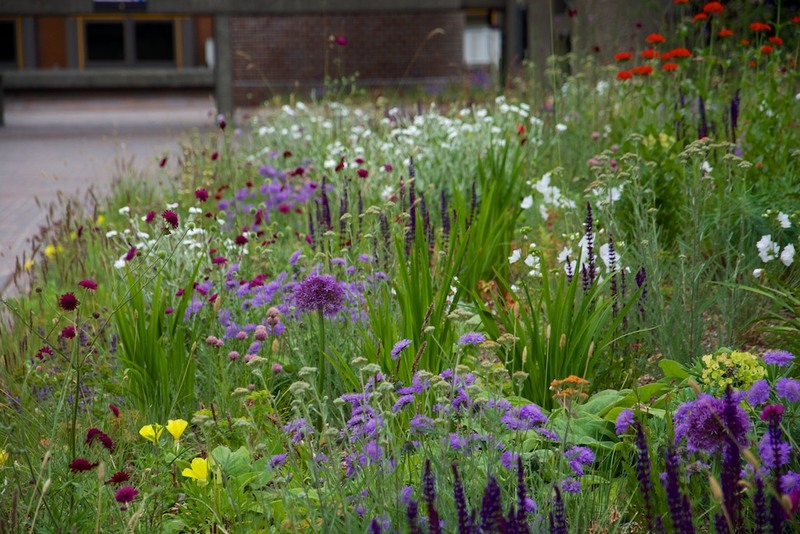 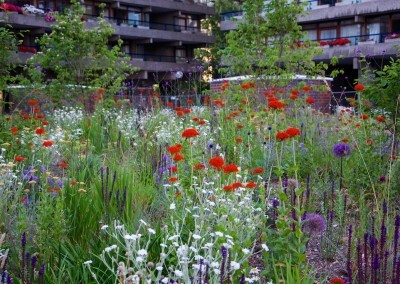 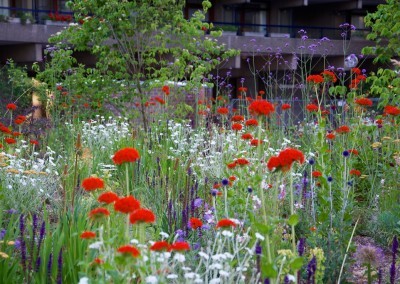 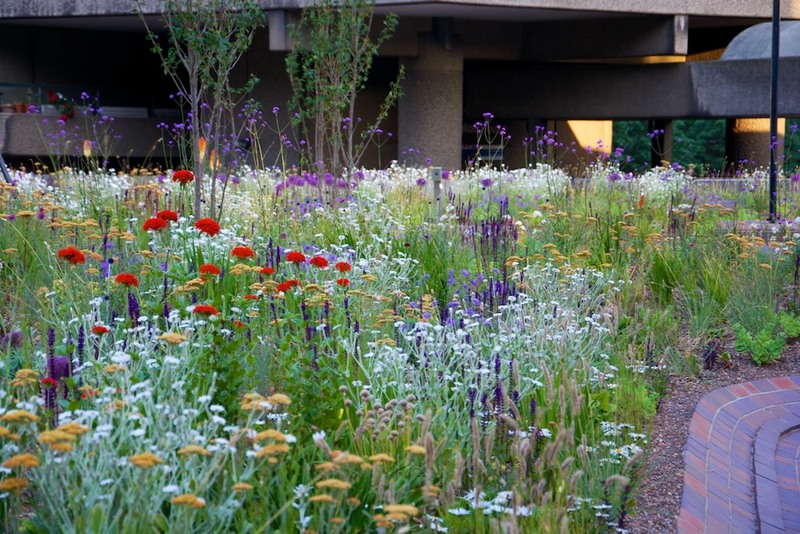 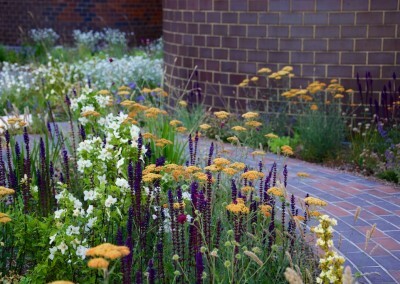 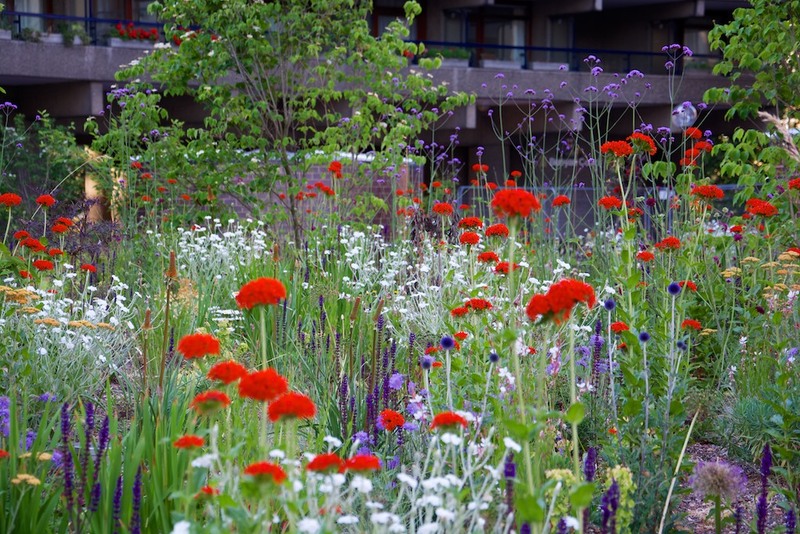 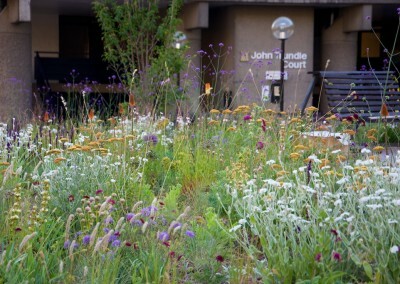 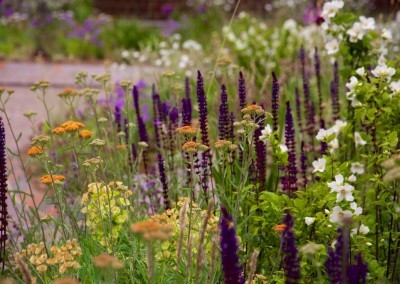 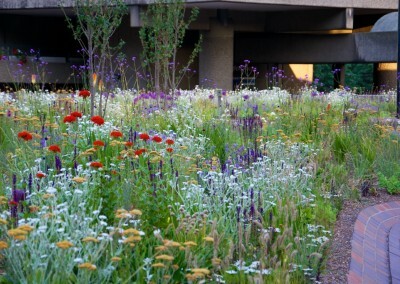 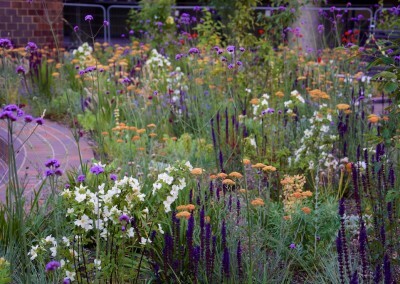 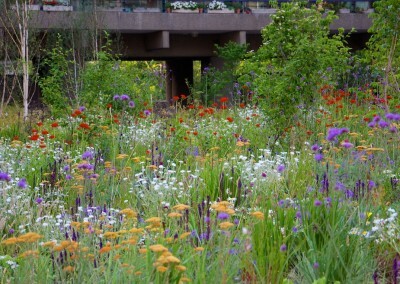 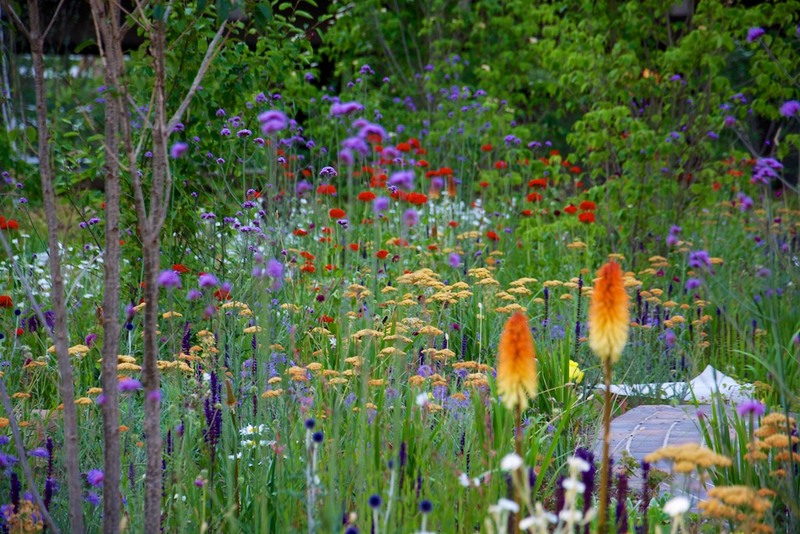 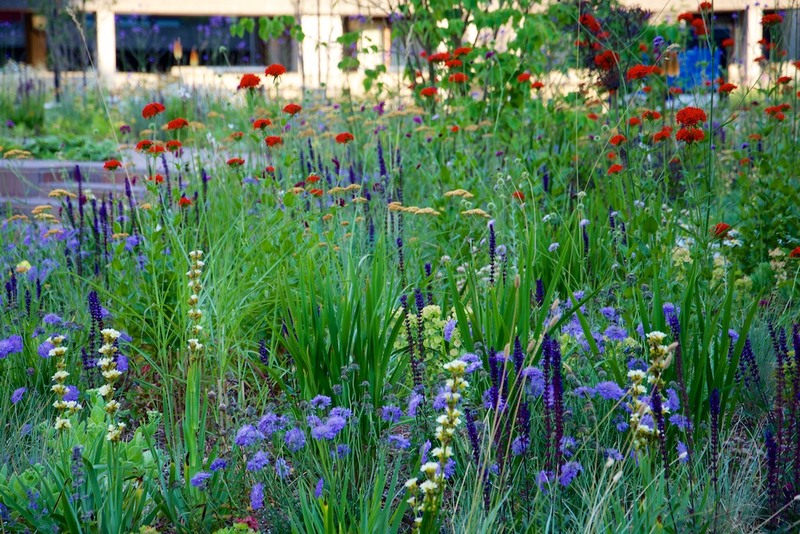 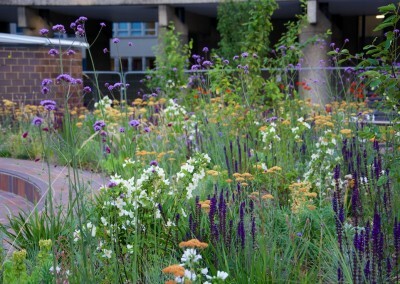 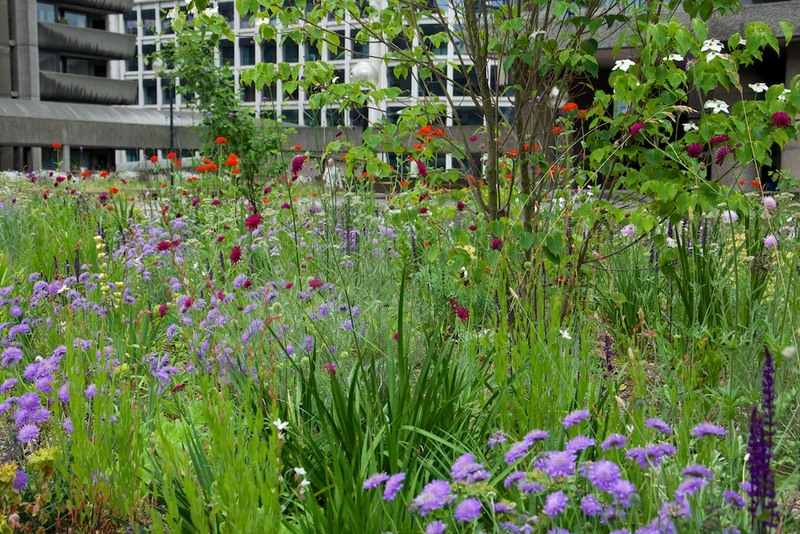 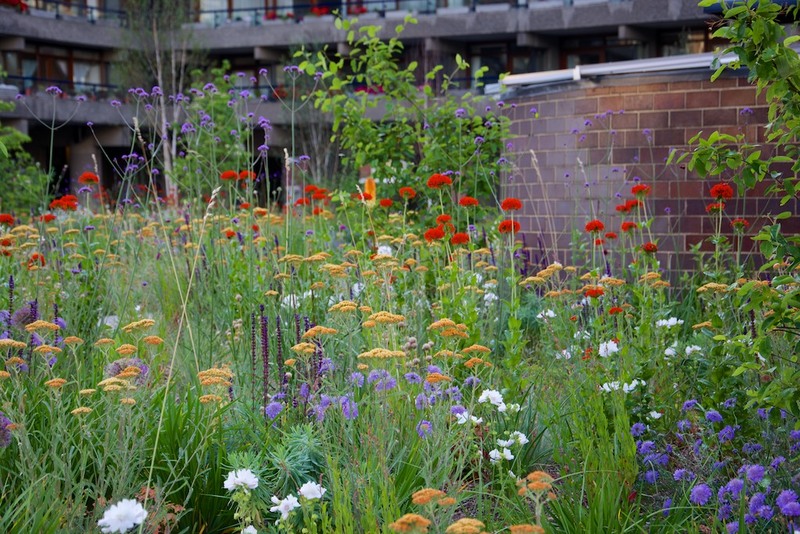 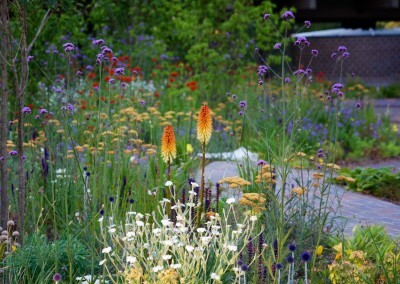 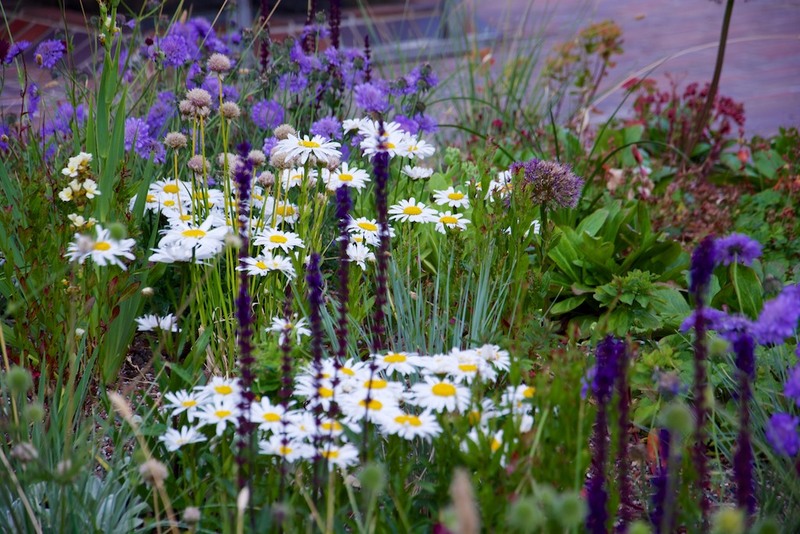 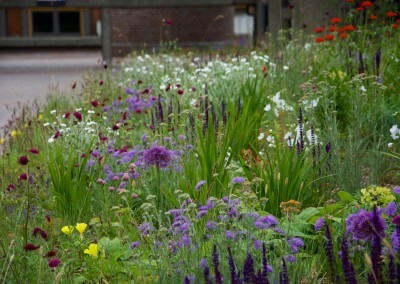 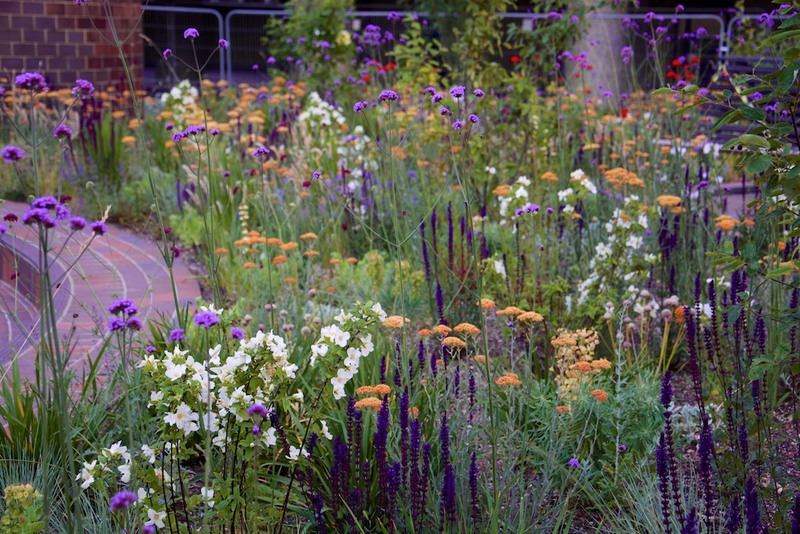 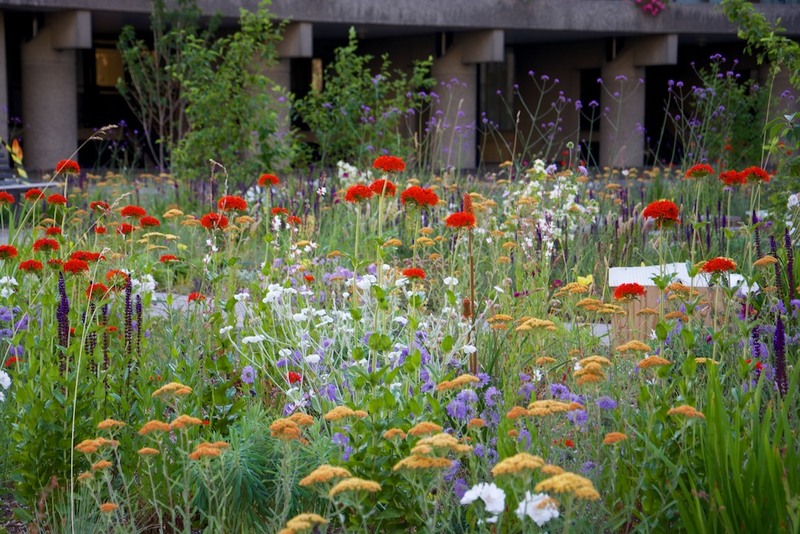 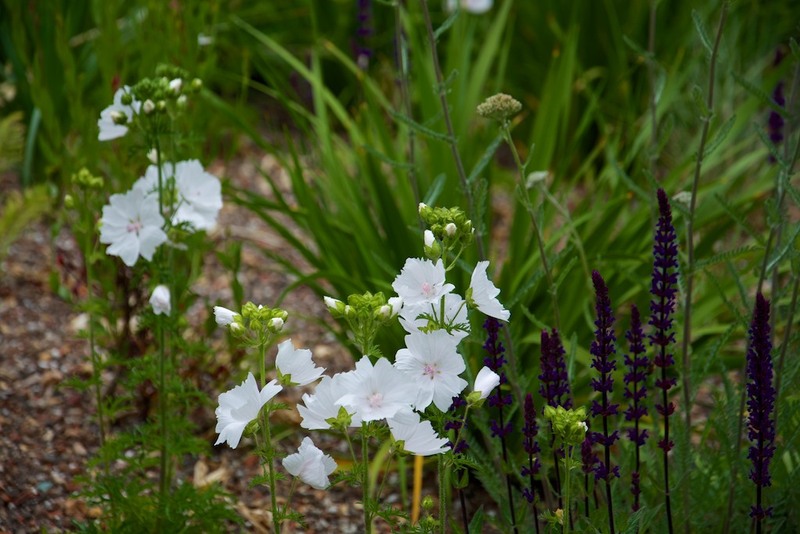 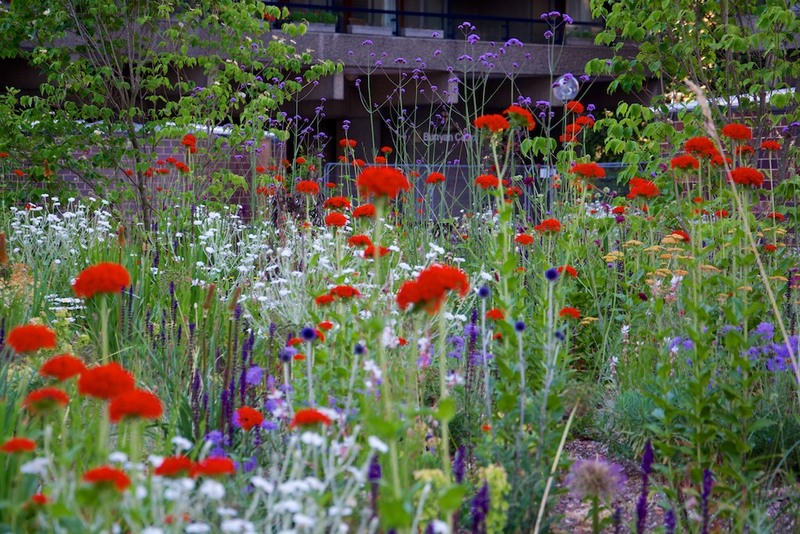 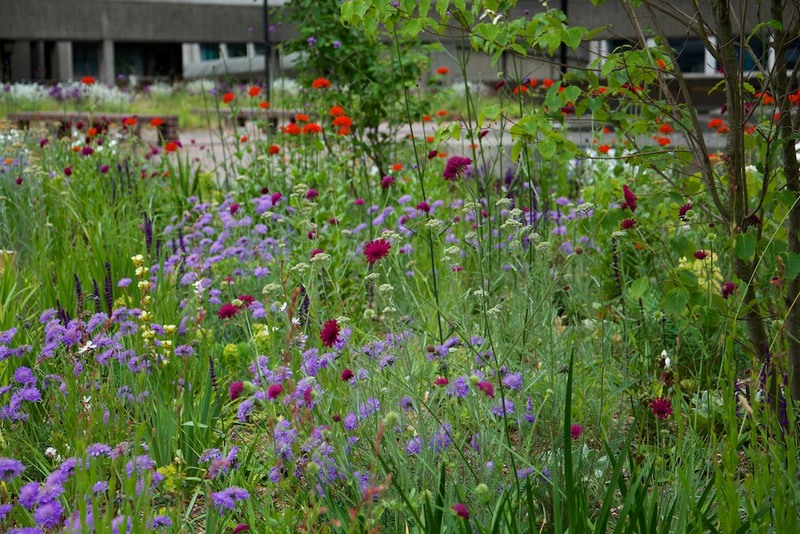 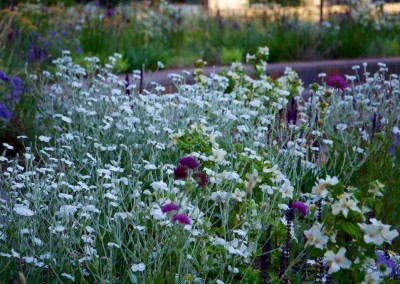 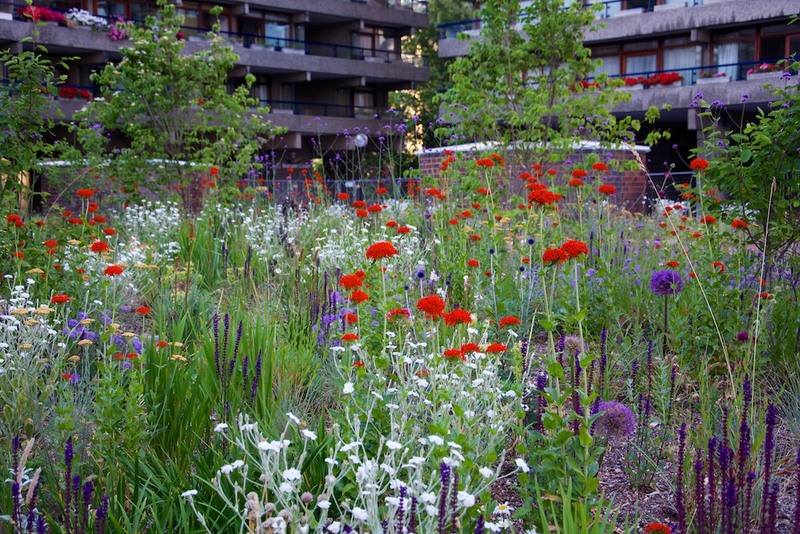 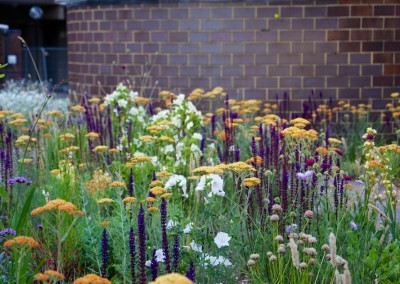 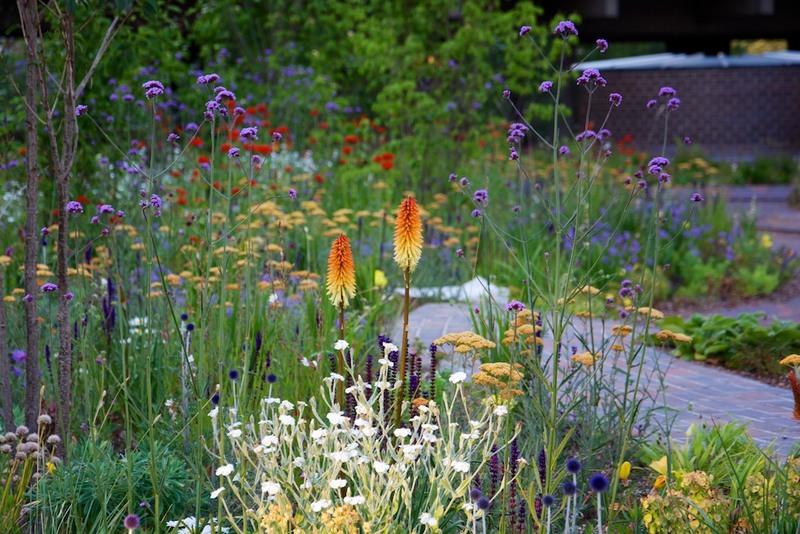 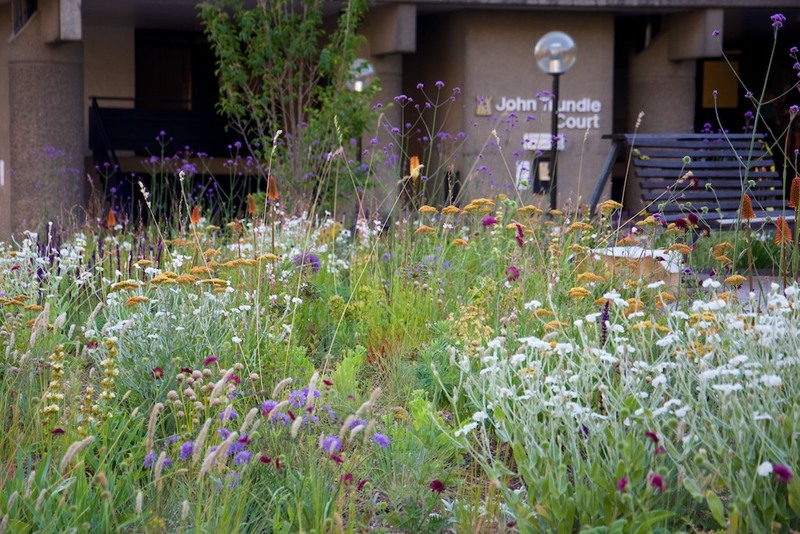 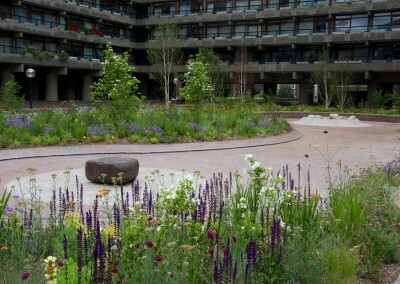 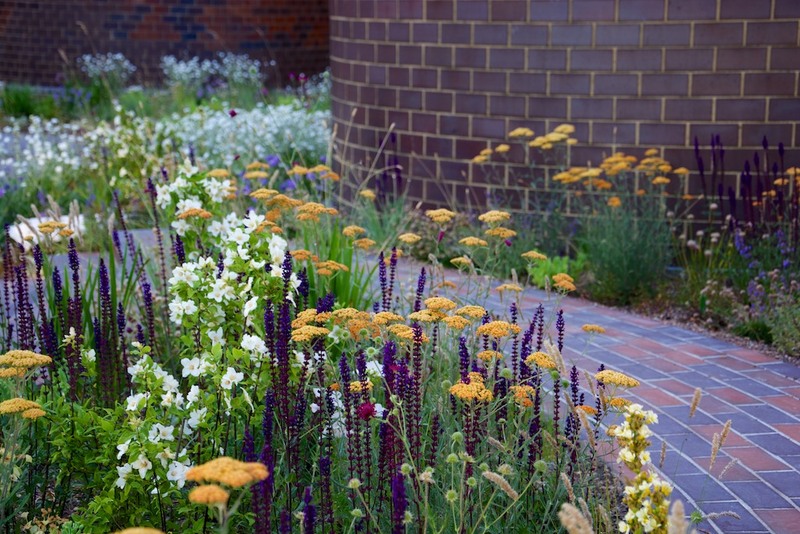 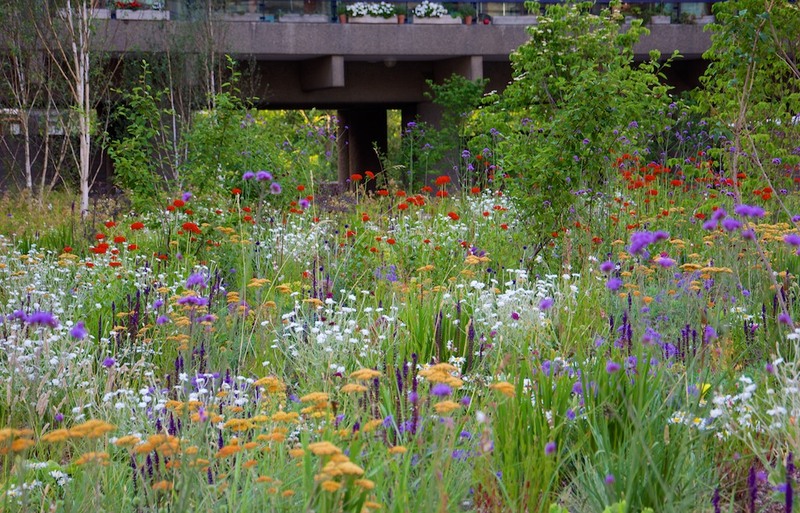 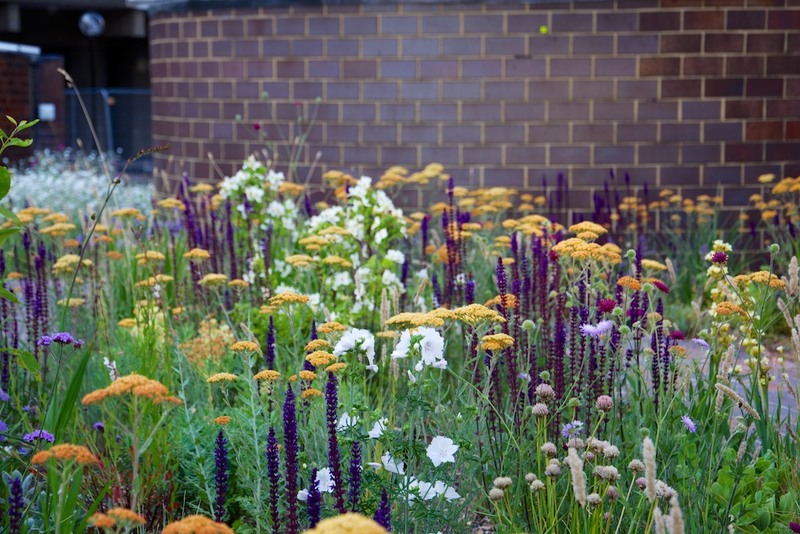 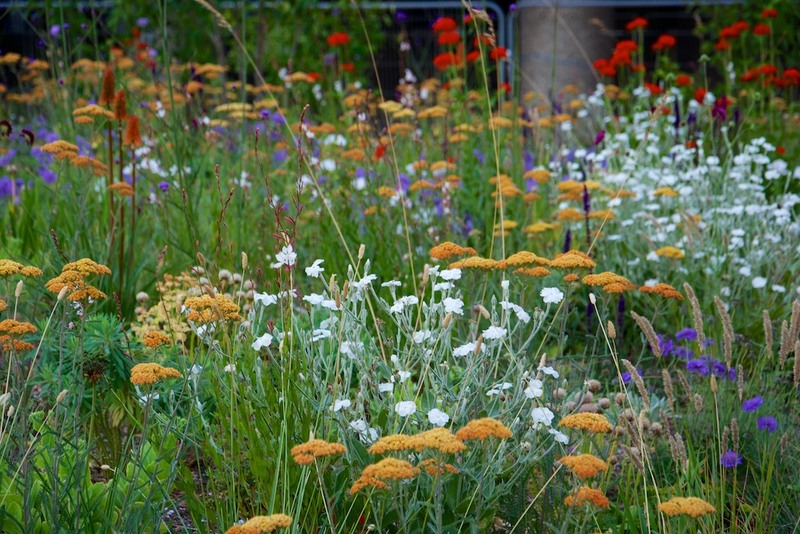 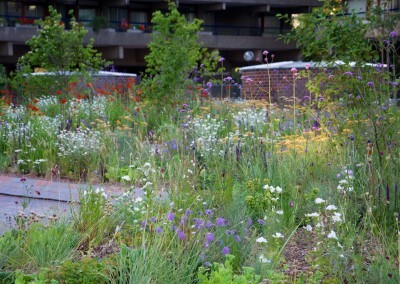 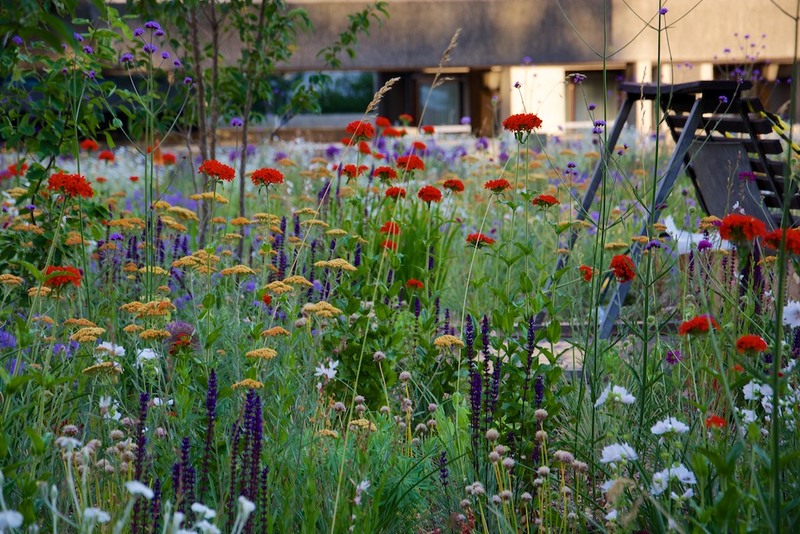 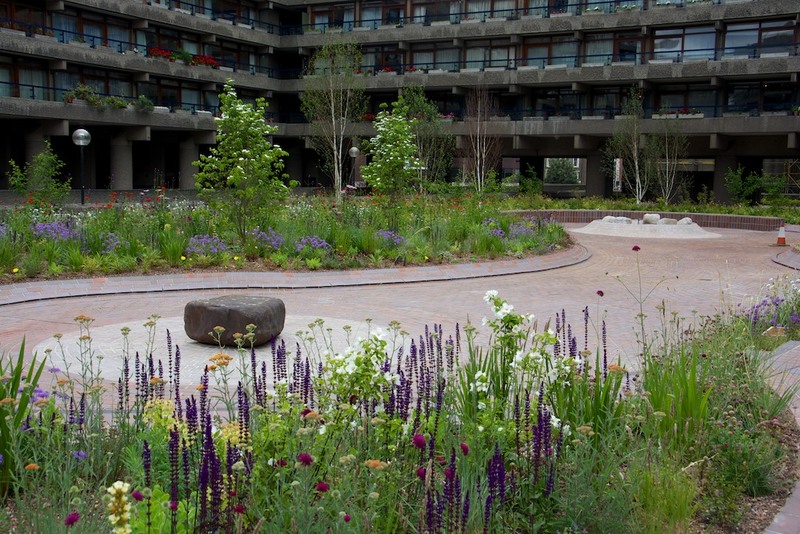 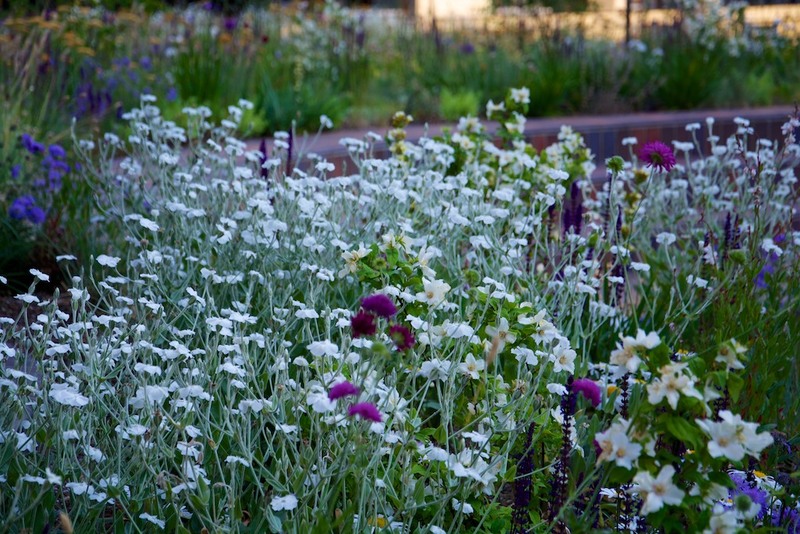 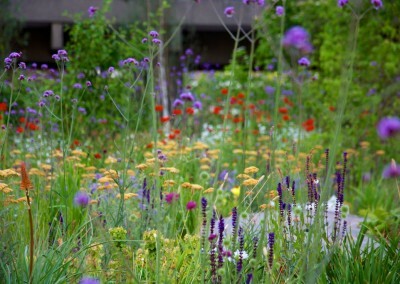 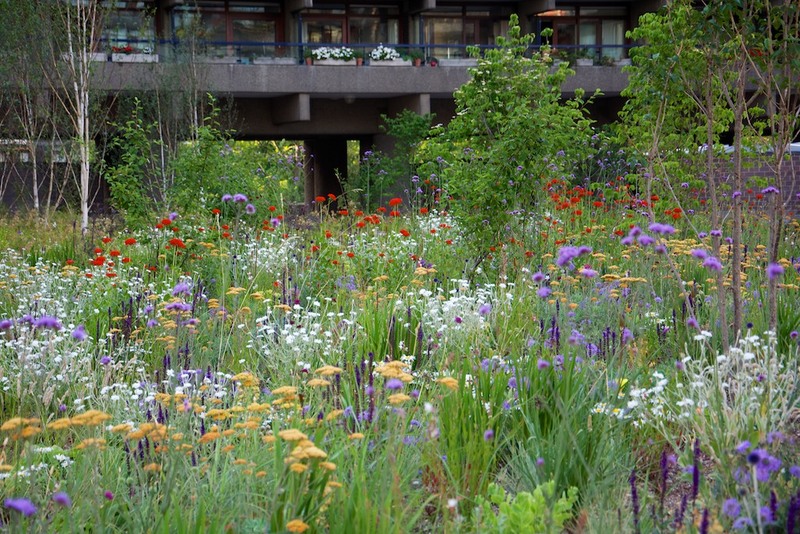 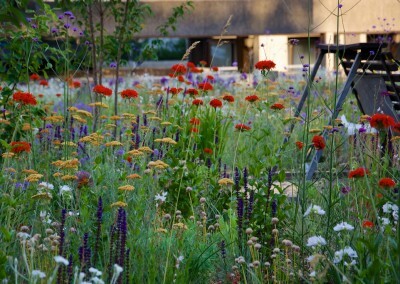 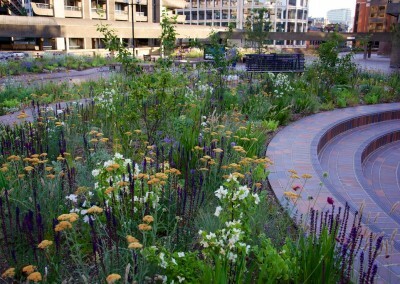 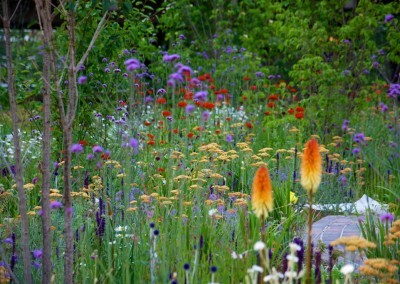 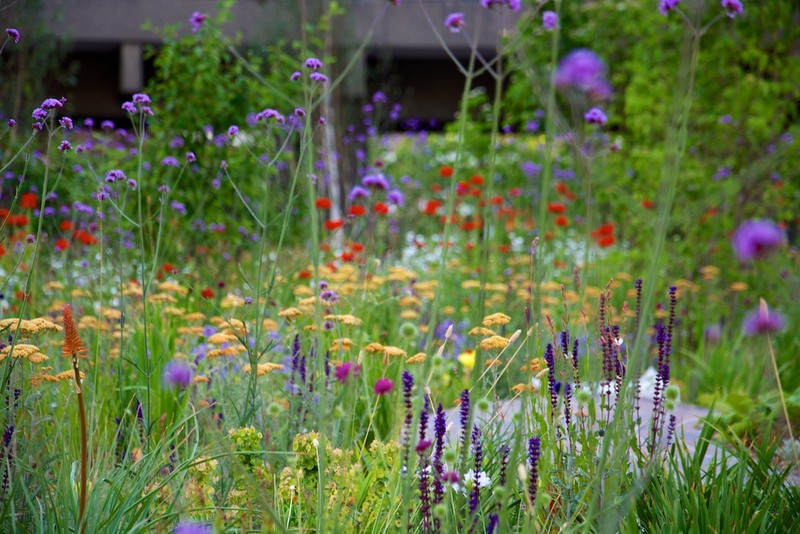 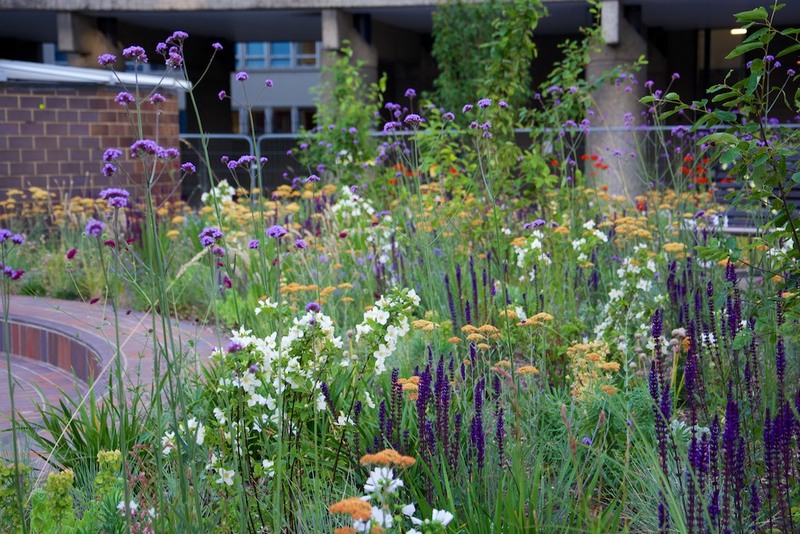 A main character species at this time is the white flowered Lychnis coronaria ‘Alba’, together with Salvia nemorosa ‘Caradonna’ and Achillea ‘Terracotta’. 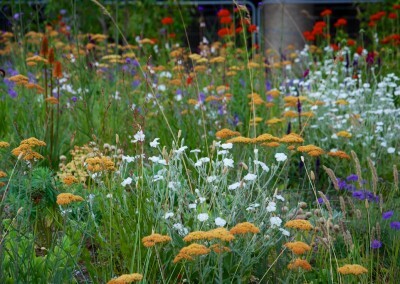 Orange with white and a scattering of blue, red and purple characterise this time. 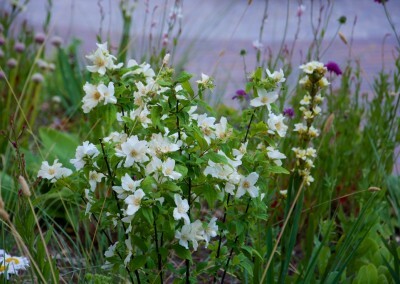 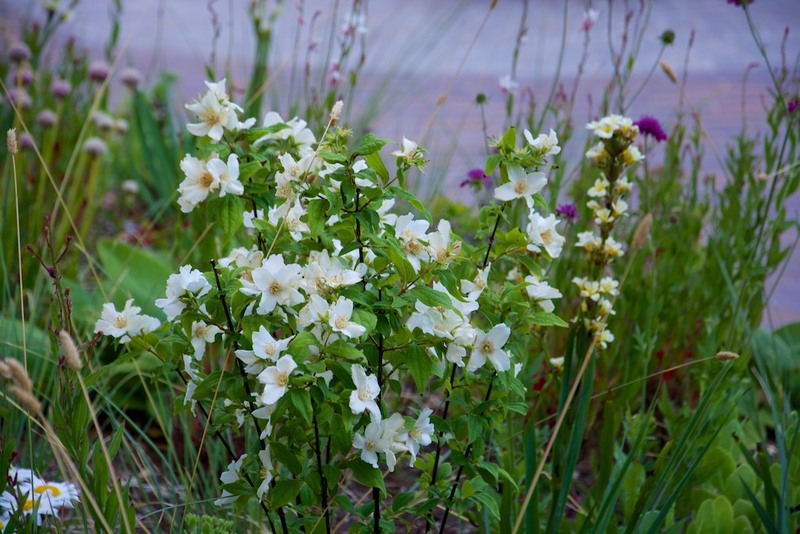 A key flowering shrub is Philadelphus ‘Belle Etoile’ – this low-growing Philadelphus is heavily scented and is planted around public seating areas.